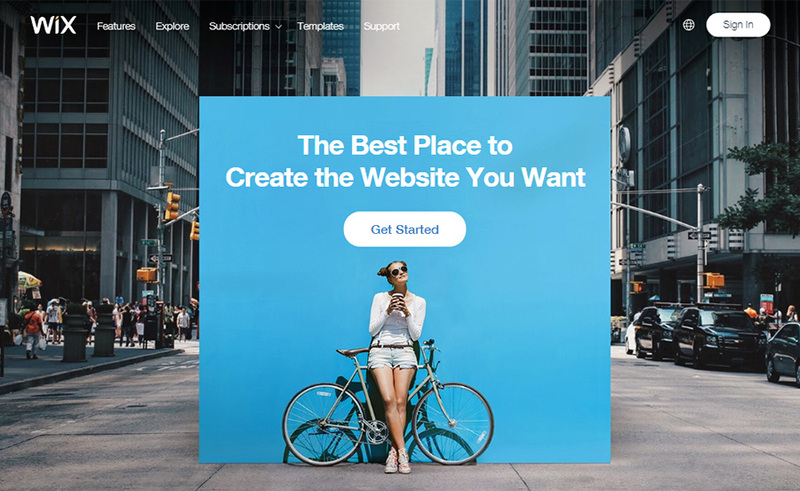 Why Wix is The Best Website Builder At The Moment? Home Web Design Why Wix is The Best Website Builder At The Moment? What is the best website builder? In this post, we tried to give a straight answer to this question. Considering that there are over 30 really decent website builders, to choose the best of the best wasn’t an easy task. Wix is one of the oldest and easiest for beginners website builder. At the same time, it is absolutely free. In addition, it’s a leader by many other parameters which we’ve reviewed in detail in this review. Why Wix was used to create over 100 million (!) websites all over the world? Why this is the only website builder which can be perceived as an alternative to WordPress? What make Wix the most popular free website builder in the world? 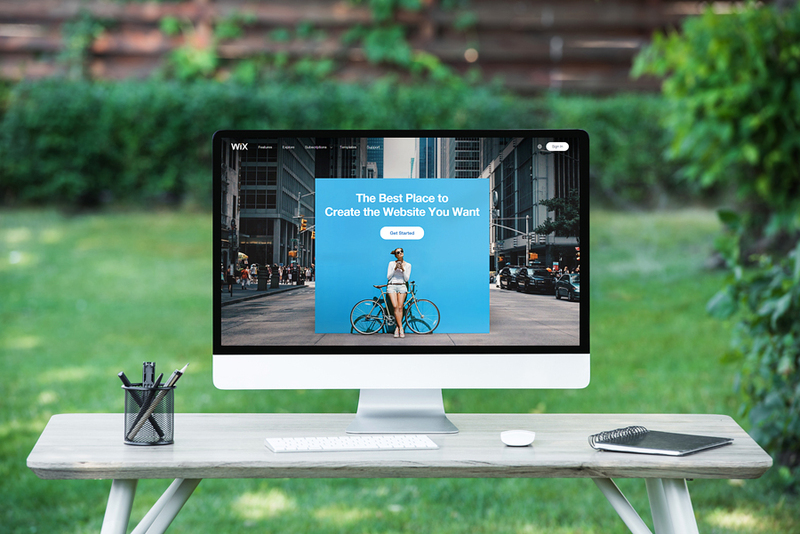 And finally – why Wix is the best free website builder? Many website builders have come and gone over the years, but few have been able to match up to the excellence and efficiency offered by the Wix website builder. From newbies to professional web designers, Wix is a best friend to anyone looking to create beautiful, eye-catching websites. While beginners can have some fun with the numerous templates, advanced users are going to love the detailed SEO and analytics, along with the drag-and-drop customization features. 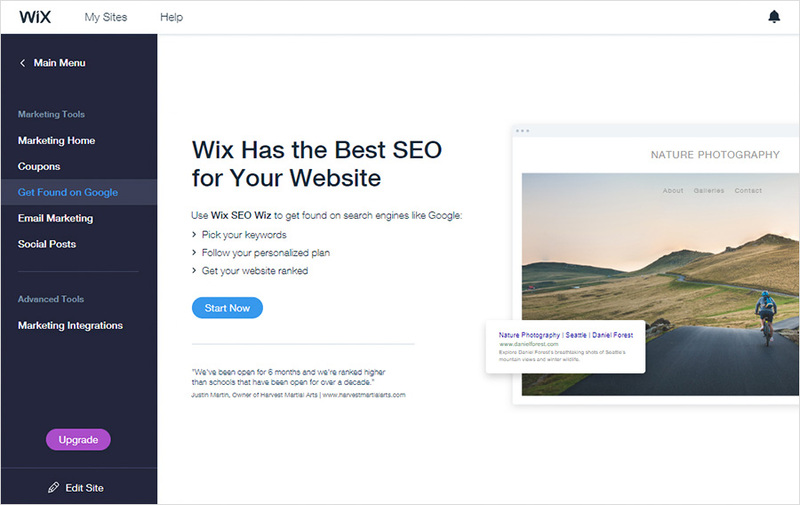 Apart from easily customizable and striking themes, Wix provides access to various advanced options such as the ability to sell items from your website, optimize the goods correctly for the search engines, and then carefully track or measure sales. Your site also benefits from having solid customer support 24 X 7. 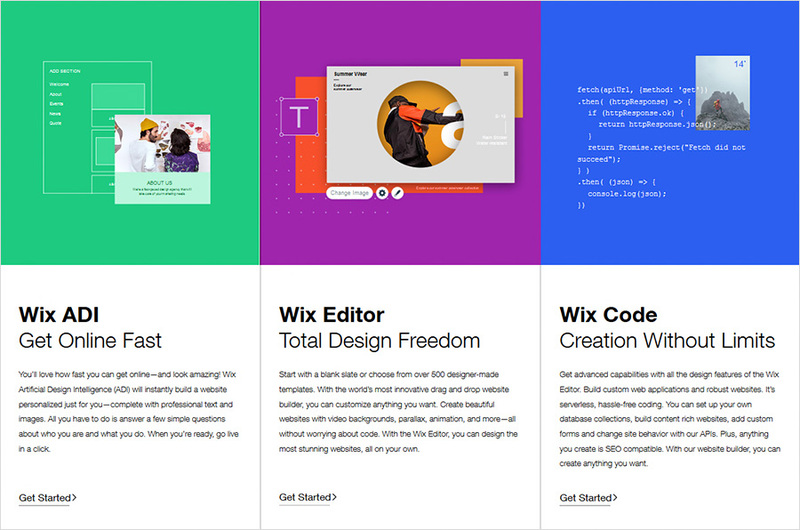 Let’s start with a closer look at some of the Wix builder’s strengths. No review of Wix is complete without mentioning the amazing collection of drag-and-drop themes. You have hundreds of themes and templates at your disposal along with numerous high-resolution stock images. This latter help impart a modern yet personalized touch to your website, stretching across your whole screen. 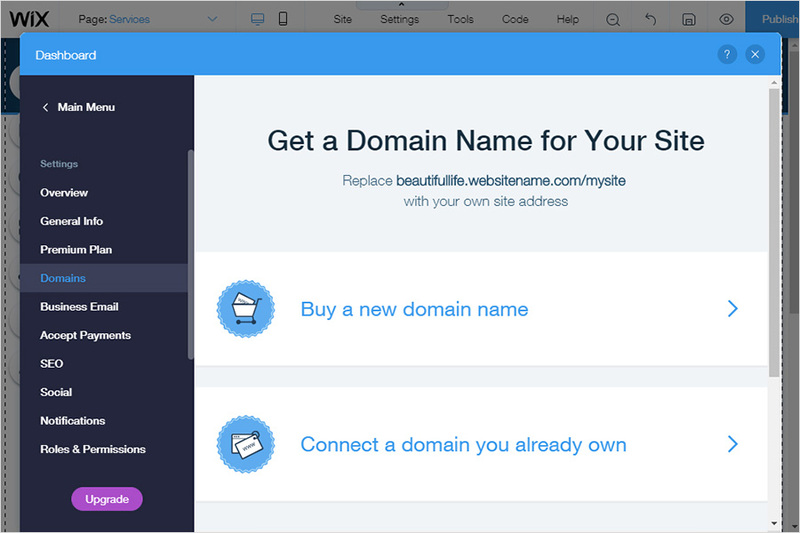 All the templates offered by the web builder are intuitive, and it’s easy to find what you’re looking for as everything is arranged according to category, style, industry, portfolio, and so on. Depending on the types of website you wish to create, Wix offers template recommendations that are tailor-made for your specific business or industry. Once you’ve chosen the template you’re interested in working with, Wix presents you with two different approaches. One is the Wix ADI that leaves all the heavy lifting in the hands of AI, and the other is the Wix Editor, where you’re in charge of creating the entire site from scratch. The Wix ADI is one of the most innovative features you’ll ever come across in a website builder. Using artificial intelligence, the tool actually learns more information about you and leverages that data to compile a website suited to your requirements. But the Wix Editor is nothing to scoff at either. 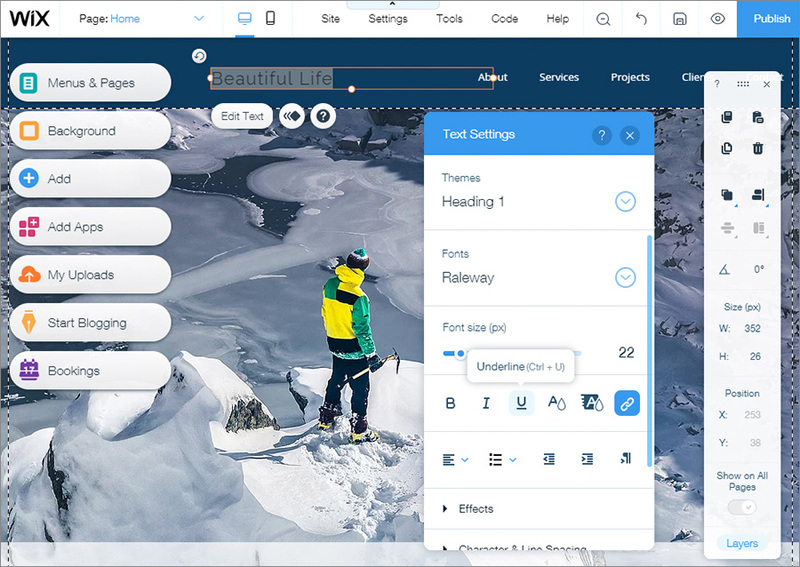 The editor takes a more traditional approach to website building but includes some nifty new features, specialized apps, and others. 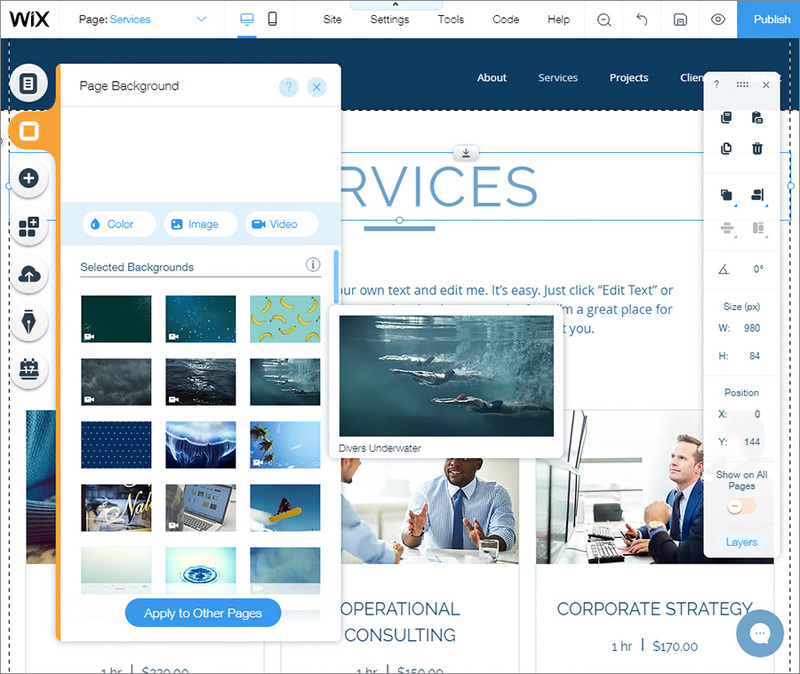 The impressive drag-and-drop functionality lets you slap together a good website in almost five minutes. Users new to the scene can look forward to a simple yet detailed tutorial that tells them how to breeze through common web building scenarios. Veterans are free to skip the tutorial and jump right into the action, editing tiles, backgrounds, page layouts, apps, sub-pages, text styles, fonts, and more. When you are satisfied with the finished version of your site, just click the ‘Publish’ button in the top right corner of the page. You must choose whether to avail a free domain or buy/connect a custom domain package. Both have their advantages, and by the time you’re done, the new website will be up and running. 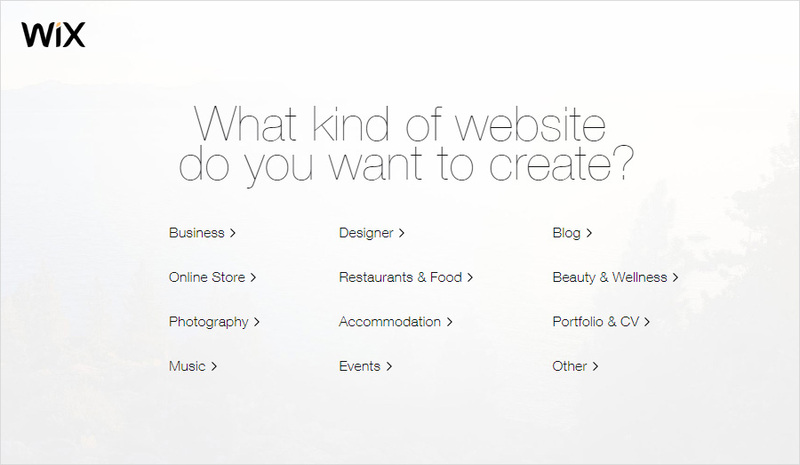 The reason why so many amateur website creators choose Wix is its simplicity and flexibility. The tool lets you customize whatever you want, and simply clicking on a specific site element helps you make the desired changes. For example, changing the background of your website is as easy as browsing through the large collection of stock photos that are included with the initial purchase and choosing the one that suits the best. Editing your portfolio hardly takes any time as well since it involves merely dragging and dropping images or uploading pictures from your drive, and linking the same to certain web pages or sites. This works wonders when you’re attempting to redirect a client portfolio to the stunning website that you designed. You also shouldn’t experience any difficulties when editing text on a page. Simply click on the existing text boxes or add new ones if necessary. You can choose whatever special formatting options you require. You can add call to action buttons without any hassle. All you need to do is point, click, and change. Enter the text you want and link it to the correct URL, email, document, anchor, or wherever else you need to redirect your visitors. The process is a lot easier than it sounds, and you should get the hang of it after a couple of tries. Another feature that is worth noting is the Wix App Market. The tool hosts a custom app collection that users have created. So, if you’re interested in adding a Twitter feed rather than creating a new one from scratch, you can just find the appropriate app from the list. You are spoilt for choice thanks to the sheer number of apps available, and the best part is, most of them can be accessed without paying a single cent. The apps cover a wide range of functions from landing pages to social media integration. For example, if you’re running a petition website, check out the Wix Forms app for dozens of forms that you can either create or customize. On the other hand, if you’re a photographer who just wants to showcase some of his works on the new website, pick the Wix Pro Gallery to display your images to visitors in the best possible way. You might be wondering, “All of this is great but I’m sure it costs a bomb.” Well, we can’t blame you – after all, other website builders would charge you an arm and a leg for the sheer number of features on offer. 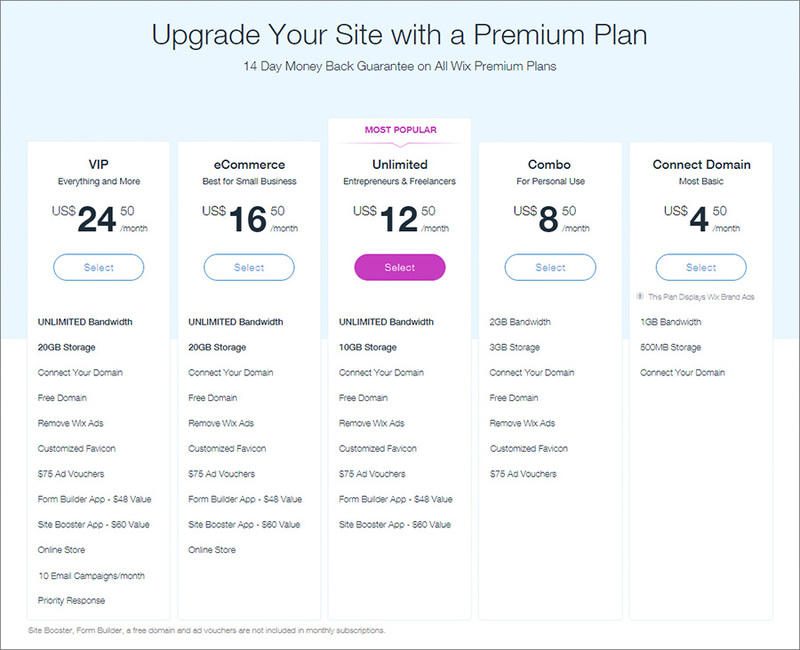 But Wix isn’t your average website builder – the site wants to attract as many customers as possible, which is precisely why they’ve kept the pricing quite competitive. 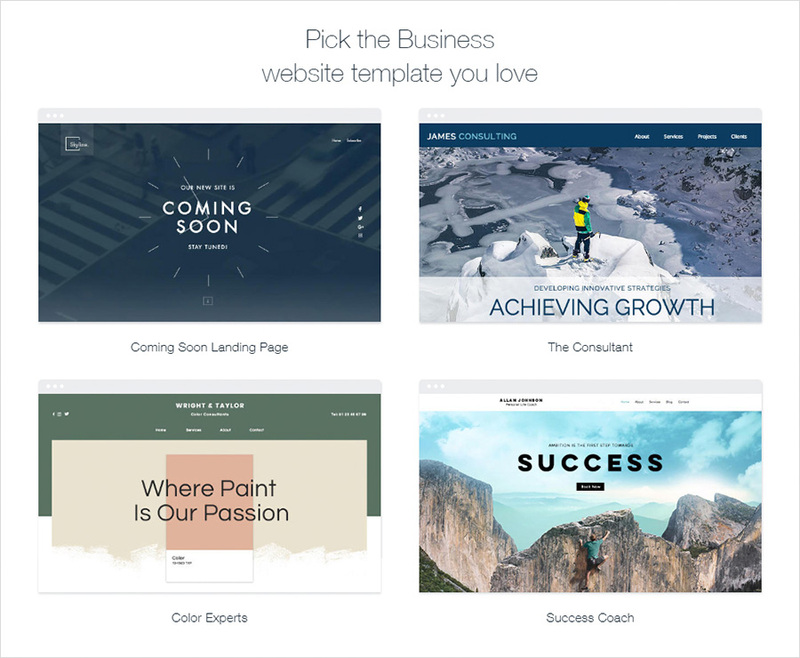 You can always opt for the free version of the website builder. But it’s better to spring for a small fee instead and enjoy access to the great features available in Wix. Availing one of the paid plans from Wix provides three months of free service along with unlimited bandwidth and 10 GB of storage. No more do you see Wix ads pop up from time to time, and you even get an ad voucher worth $300. If that’s not all, you enjoy access to the form builder app and the site booster ad, and can connect your domain. The checkout process is quick and smooth, and you’re not bombarded with upsells and offers. Wix makes it a point not to try and sell users a bunch of random stuff they will never use. 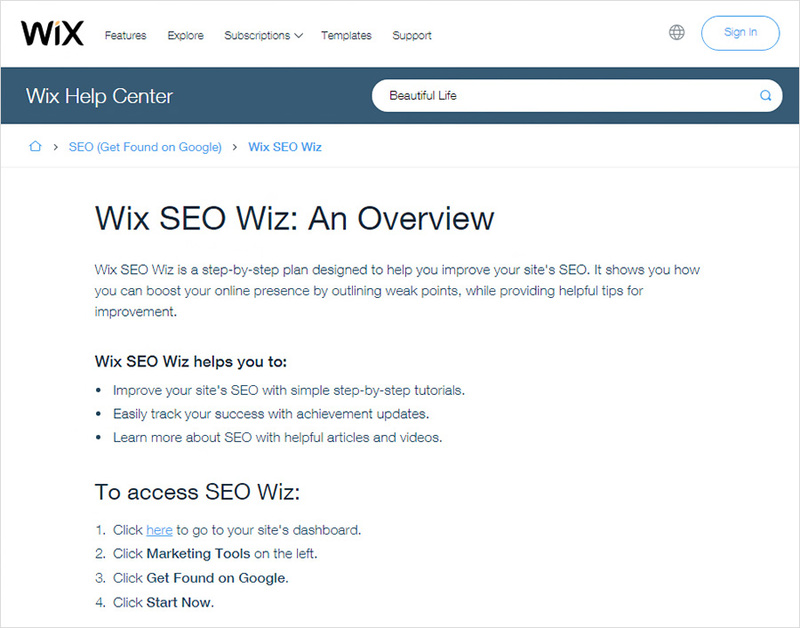 Wix is extremely user-friendly, and offers a huge library of useful content. The library also includes popular issues and trending topics. The company is also quite active and responsive on social media channels. No matter what sort of website you create, the end goal remains the site – attracting visitors. But to effectively capture their attention, you must know what’s working in your new website and which aspects are yielding the best results. Only then will you be able to get more visitors. For that reason, you require analytics. Of course, you don’t need to work with hundreds of metrics; all you require is a simple dashboard that tells you how things are going, and allows you to distinguish between what’s good about your site and what’s not. 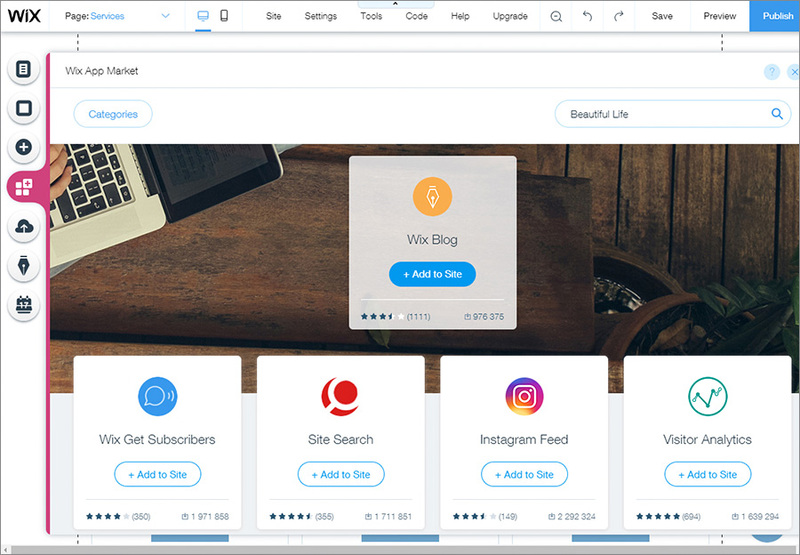 Wix completely demystifies the analytics setup by offering a clean, sharp, user-friendly interface. Just head to ‘Site Manager’ and press the ‘Advanced’ button near the bottom of the left-hand menu. Click on ‘Google Analytics’. Now you must sign up for a Google Analytics account. The process is free and easy, and all you require is an email address. After you’re finished, just log into Google Analytics, click the gear icon or ‘Settings’ and then search for the ‘Property Settings’ option in the middle of the screen. You will locate a Tracking ID here that begins with UA- followed by a random sequence of numbers. This will complete the process and make analytics a piece of cake. 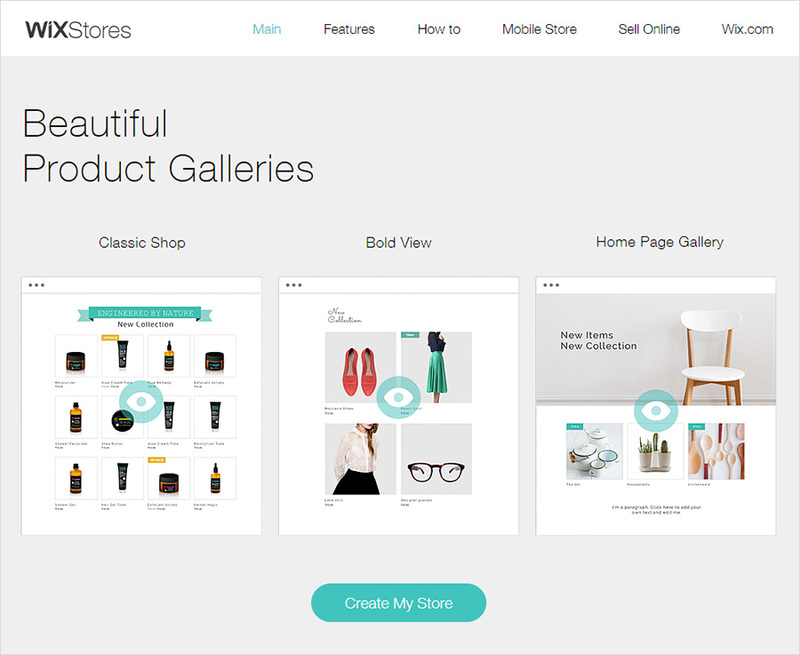 Wix brings the same level of accessibility and simplicity to the ecommerce experience. You get everything under a single roof – from tracking orders to payments, tax management to shipping, promoting sales to selling directly. Begin the process by choosing the suitable product gallery. 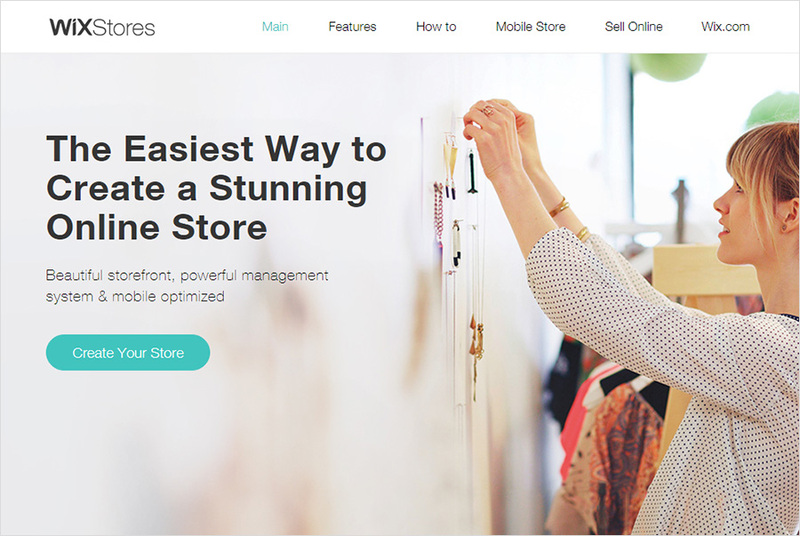 You have the option of creating the store from a website template or adding a new ‘Store’ section to your existing website. Keep in mind that users interested primarily in ecommerce are better off choosing the ecommerce package rather than the standard free website plan. You can enjoy access to all the useful features for a moderate fee every month. 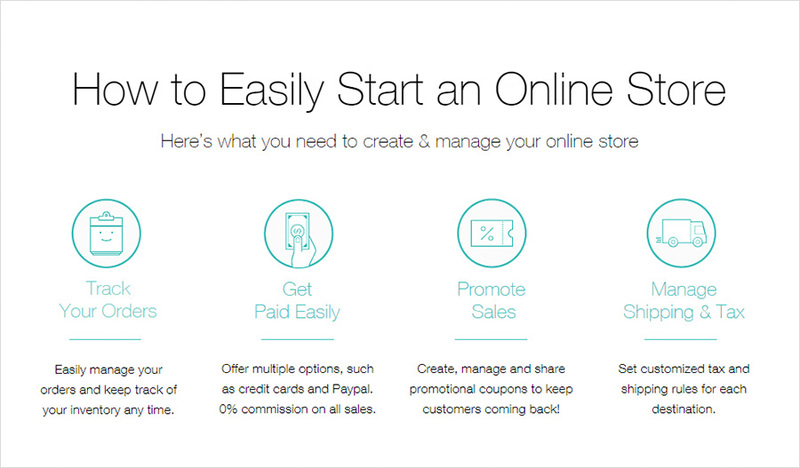 The easy to use wizard lets you set up a fully functional ecommerce site in no time at all. 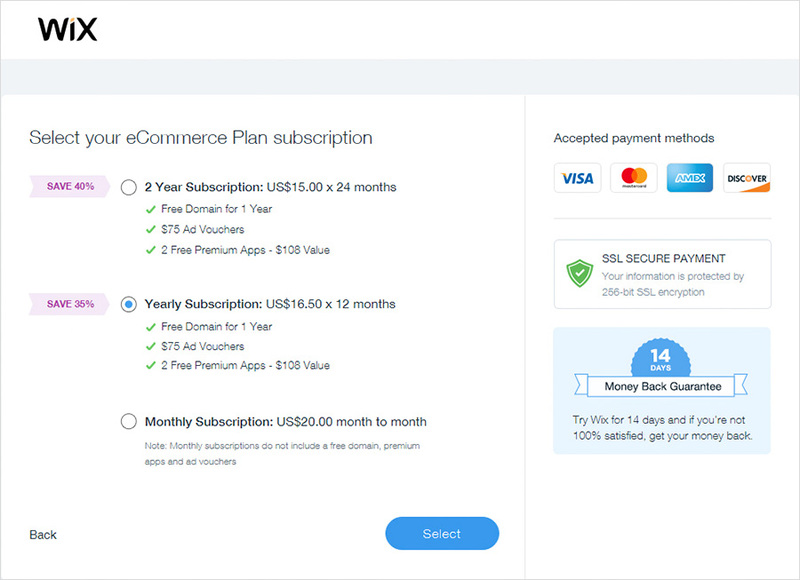 Plus, you get to choose every critical aspect of the store from shipping and taxes to payment gateways. Many professionals refrain from using website builders since they risk losing out on various advanced features. Take, for example, SEO. Most of the tools out there eliminate any actual SEO features to make things nice and breezy for new users. But it actually hurts your rankings in the long run. 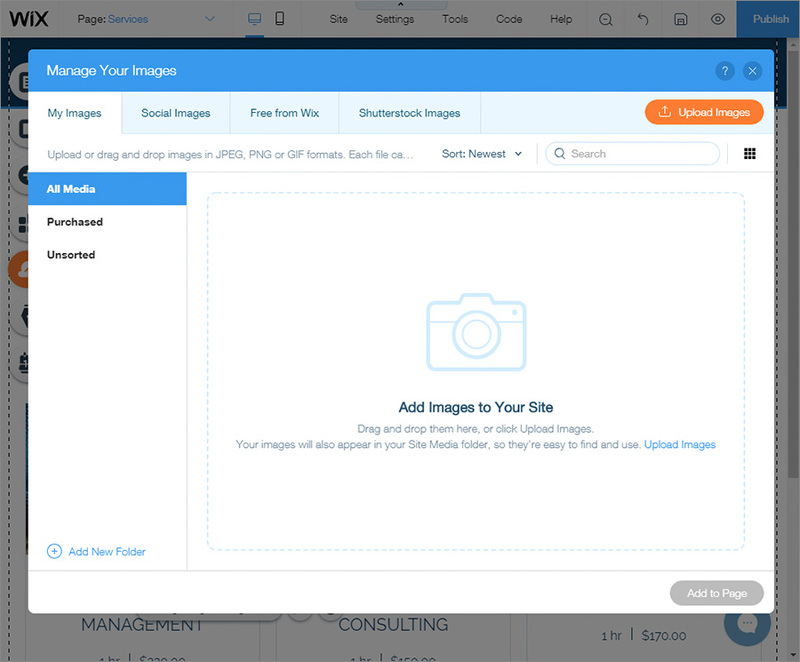 Thankfully, Wix happens to be one of the few builders available that provide access to not just the basic page metadata but even lets you fully edit your site header. Just navigate to the site editor and search for the section marked ‘Header Code’. Open the menu navigate and click the ‘Site’ option. Once you press the ‘Site Manager’ option, you will be able to enter the Header Code. Make the changes as required and click on ‘Publish’ to make them go love. The metadata features even help you manage redirects. Advanced website creators will find that to be extremely useful. 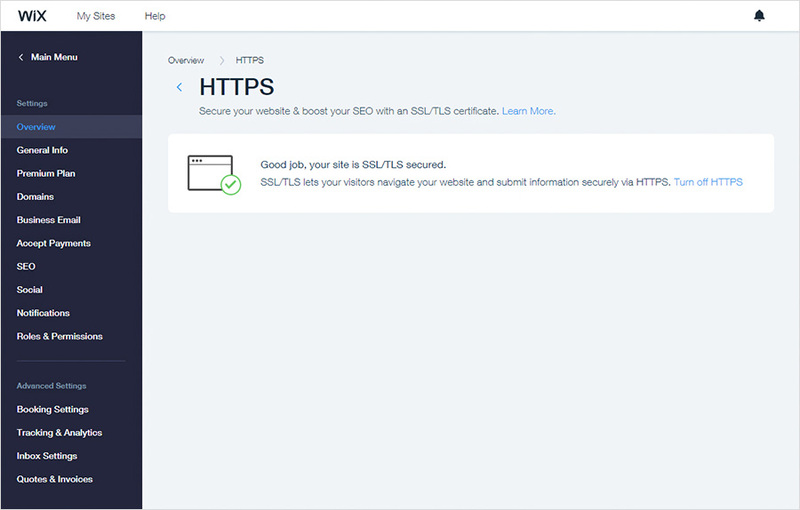 On top of that, Wix even lets you set up the SSL certificate for your new website so that visitors do not feel hesitant to access it. An SSL certificate breeds some trust in customers as well, knowing that any sensitive information they enter into your trusted website will stay safe and secure. In case you are new to the world of SEO, that is not a cause for concern since Wix is very helpful in guiding you through the entire process. Start scrolling up on the site manager and create your own SEO approach. 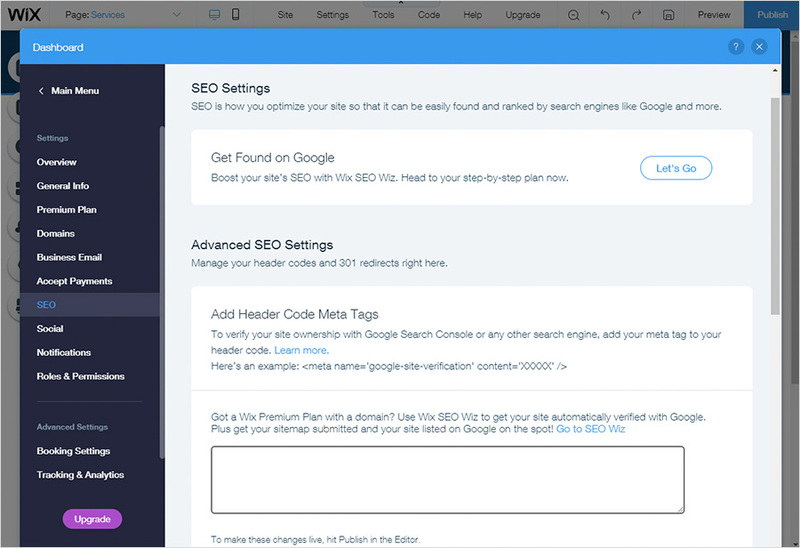 Click on the ‘Let’s Go’ option and enter the necessary information to be redirected to the new SEO dashboard. This is where you can optimize your website even further. Head to the ‘Site Manager’ section and locate the ‘Social Setup’ option. 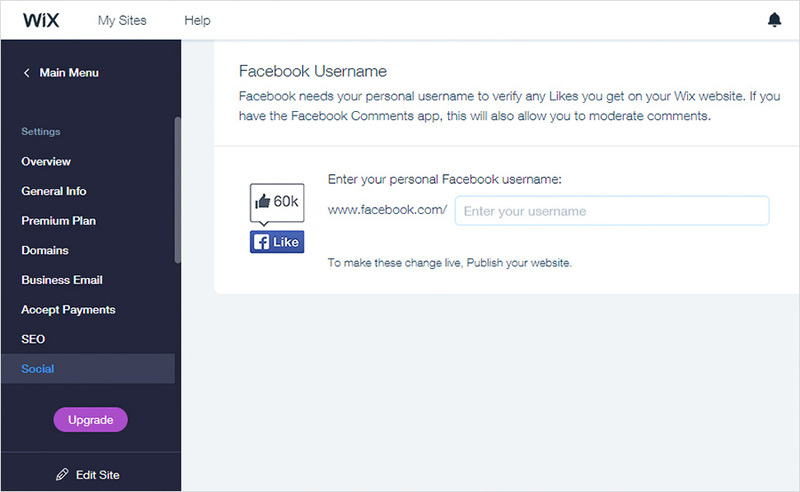 The name is pretty self-explanatory since you can integrate between your personal FB account and your website. Users are also free to access a few advanced features so they can spread the word about their new website across social media. And the best part is, Wix dumbs it down so you don’t face a lot of problems. For example, you might find it hard to set up the Facebook pixel if you have no idea about the inner workings of the code. But thankfully, Wix eliminates a large chunk of those issues by enabling you to get work done through just entering the code number. If that’s not all, setting up the social media options provides access to next-level marketing strategies such as establishing custom audiences on Facebook to remarket ads or items back to people who just visited your website. Wix has a lot going for it but it’s not possible for a website builder to excel on all accounts. The company does struggle with a few aspects of site building. However, they are few and far between. Still, it’s good to know about the tool’s shortcomings so you can make a fully informed decision. 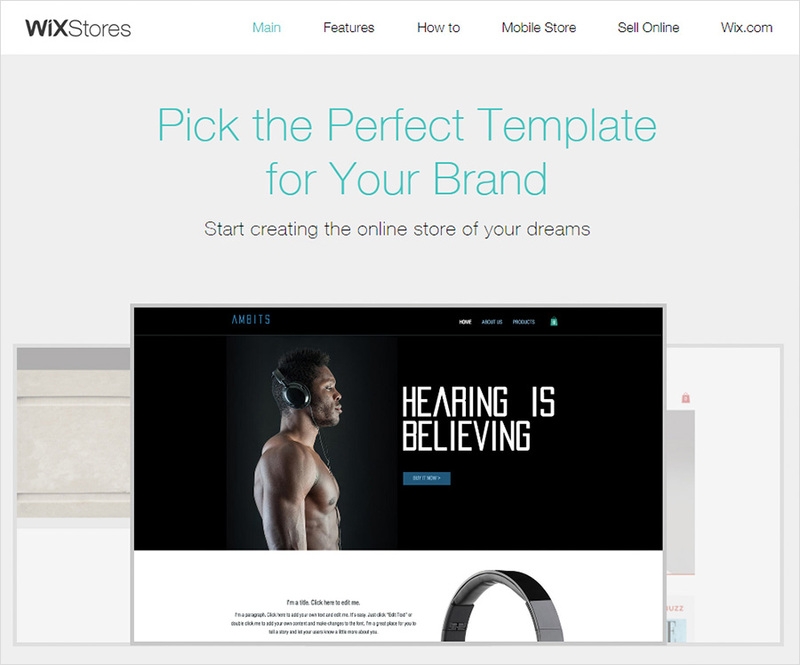 Right off the bat, Wix’s templates struggle a bit with mobile responsiveness. Of course, they show up on mobile devices without any problems, but not entirely. You need to make a couple of edits to the mobile version before you can publish it. Just click the phone icon on the upper right-hand corner to begin the editing process for your website. Although the majority of the content gets transferred to mobile and looks decent, some dynamic page elements are often missing. It’s not a complete deal breaker but something seems to be missing, especially if you visit the mobile site after the desktop version. It’d be nice if Wix retained a few of the dynamic elements as other site builders often do. But this oversight is not without a silver lining. By eliminating most of the heavy elements from the mobile version of the page, Wix keeps things snappy and light, which means rapid page loading times. Another drawback of an otherwise amazing website builder, Wix’s unavailability of live chat support is something that baffles most users. The company already has a Twitter account meant for solely responding to the queries and complaints of users. But it turns out that they have put almost all their support capabilities into Twitter since the site is left devoid of any live chat feature. The company is currently taking votes for adding this feature to the website builder, and it could make an appearance later on. But until then you might find it a bit difficult to resolve issues like tech problems and billing issues through support tickets and emails alone. Live chat support should make things a lot easier and quicker for the customers, and make Wix a no-brainer when it comes to choosing a good website builder. 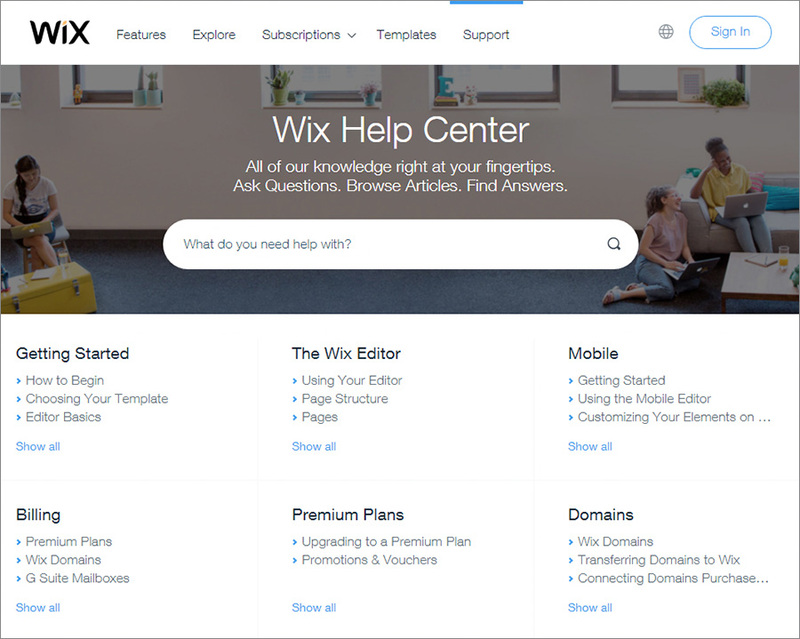 At the end of the day, Wix is miles ahead of any other website building tool in the market. 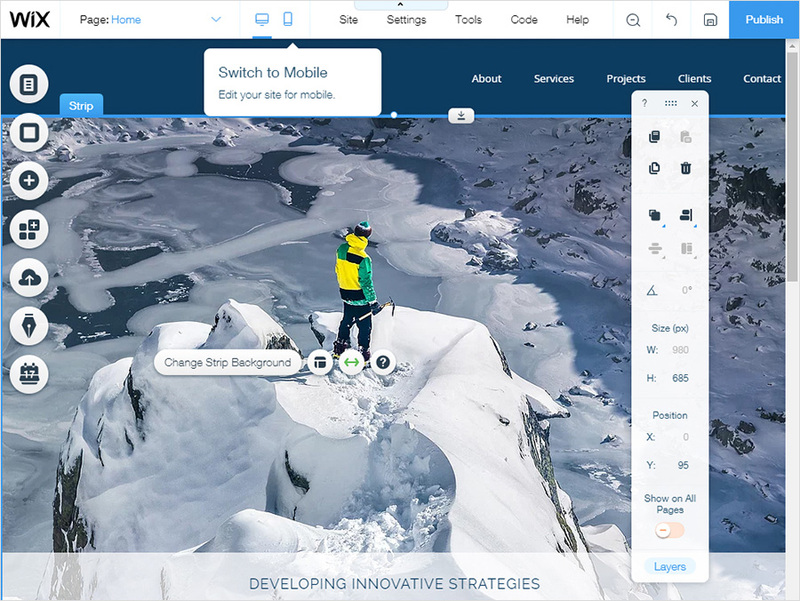 The tool offers some of the finest design templates right now, while the site builder is incredibly customizable with jaw-dropping drag-and-drop features. The addition of the point and click method is also worth mentioning as it adds to the overall ease of use and convenience. This means you’re able to create a beautiful website within minutes. If you’re unsure about large scale customizations, feel free to pick the features you need from the app market without paying anything extra. Add these to your website with just a click and get your new site up and running. The whole process is fast and effortless. You get all this and more at a decent affordable price point, and you can even lower the cost if you use the Wix promo code. No wonder millions across the world use Wix to build the site of their dreams. Now it’s your turn!